Heartbeat is the time interval that the device is expected to communicate to AirVantage. All periodic jobs triggered by AirVantage are based on the heartbeat used as a timer. This timer cannot be set less than 15 minutes. 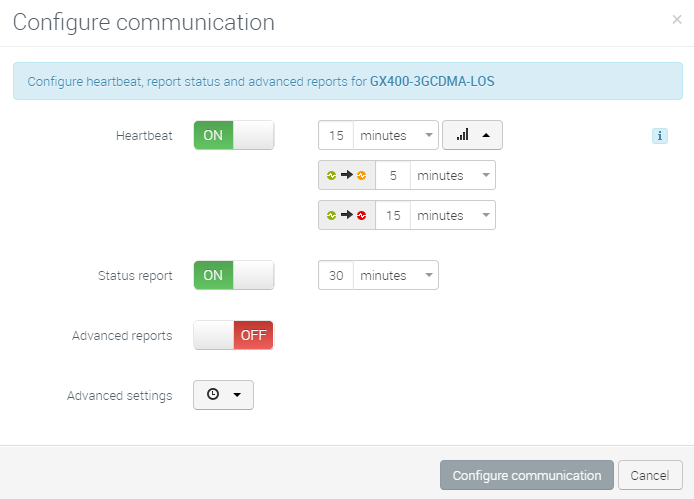 The heartbeat configuration is synchronized with the device, so when you change the timer in AirVantage, an operation is created to update the heartbeat timer in the device - if the device firmware supports this capability. 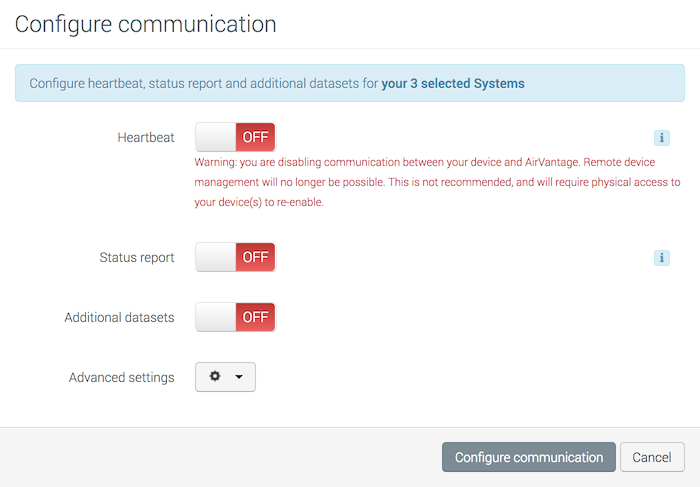 AirVantage maintains a Communication status for each device, based on the heartbeat configuration. By clicking on the signal bar icon the window will expand to show two additional timers that relate to the status icon that appears on the Monitor/Systems page. You can enter a timeout value to change the green icon to amber and from amber to red. An alert can be configured to be notified whenever the communication status turns to amber or red. A Status Report is the time interval for collecting the group of status data from the device see the list of parameters in (Default status report ). Additional Datasets can be configured to collect a user defined set of data periodically from the device. Important: As the setting for multiple devices will likely be different, all settings will present as off by default. It is important that you reset all communications parameters for your devices. If you only set one value, all other values will be disabled. 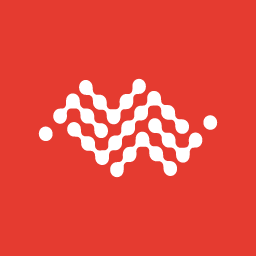 It is critical that you always have at least the Heartbeat enabled, otherwise your devices will stop communicating with AirVantage.